Taillight lens & housing gaskets - 12 piece kit does both taillights. 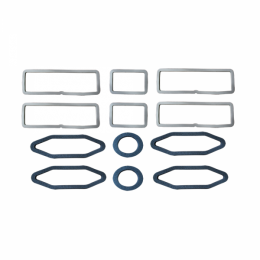 6 gaskets for housing to body & 6 for lens to housing. Top quality, USA MADE to original specifications.